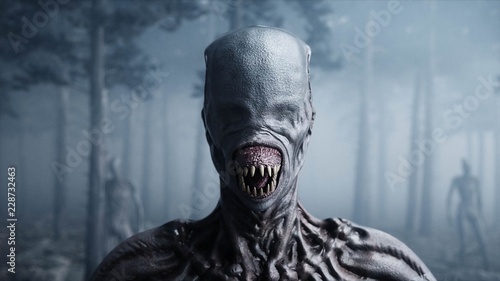 scary monster in fog night forest. Fear and horror. Mistic and ufo concept. 3d rendering.